This feels right. 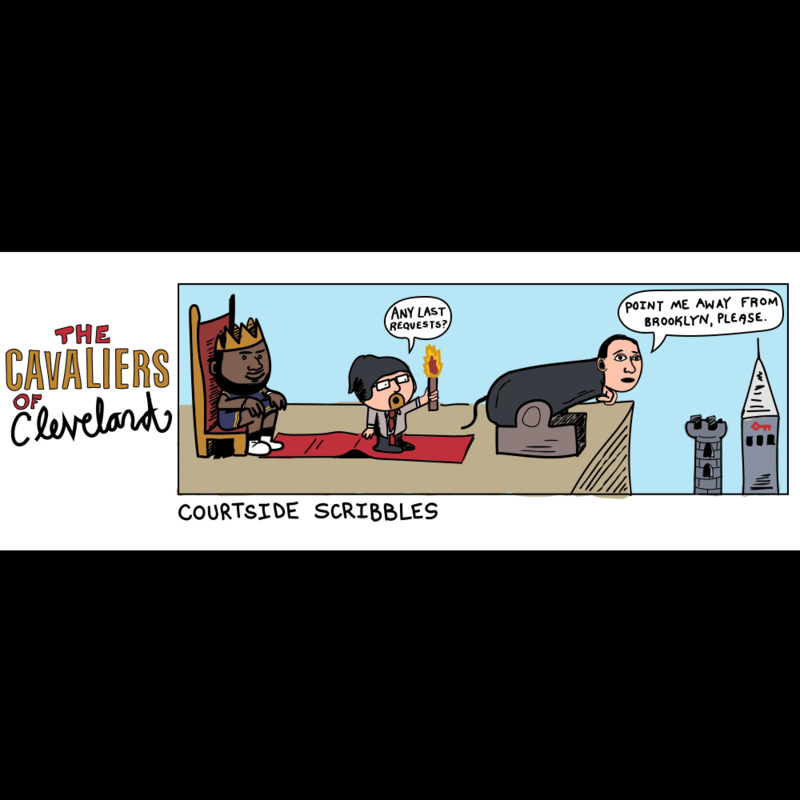 If we lived in a medieval cartoon universe, there’s no doubt in my mind that Lebron would regularly shoot his coaches and teammates out of canons. This cartoon, inspired by the Wizard of Id, features the King and one of his top helpers lighting a cannon loaded with David Blatt. To be honest, Blatt received a bit of a raw deal coming to Cleveland. He was hired to continue a moderately paced rebuild with encouraging pieces like Kyrie, Tristan Thompson, and Dion Waiters. No one really knew for sure that Lebron was coming home, but then he did. Eventually, an Andrew Wiggins draft pick turned into the East’s best Big 3 with Kevin Love, Kyrie, and the King himself. Lebron, of course, demanded excellence and didn’t ever buy into Blatt’s system. With continued subversion, Lebron quickly defaulted to assistant coach and player-favorite Tyronn Lue. Blatt’s days were numbered. Despite an inspiring championship push in 2015 and a great six-month stretch that placed the Cavs at 30-11 (best in the east), David Griffin felt that the team was still greatly divided. On January 22nd he ordered the King’s guard to apprehend Blatt and bring him to the launching pad. He was stuffed into the cannon, read his final rites, and expelled from The Land forever.